This cloud-based web conferencing solution is used by over 10,000 companies around the world. Users are able to join conferences in just a few simple steps. The service can be used with Windows, Mac, iOS, and Android. When using a PC, this solution allows users to share their desktop and screens from applications. This device converts HD signals into IP signals for delivery over a network. 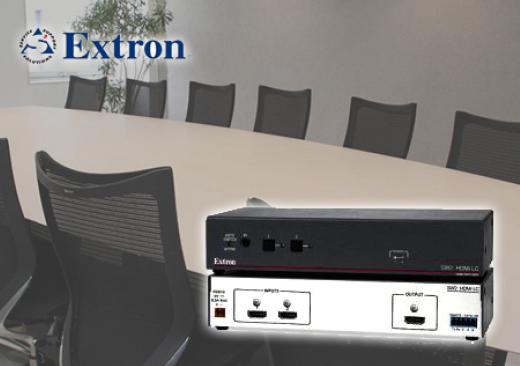 With the use of a network switch, the input and output can be switched. The result is a system that is remarkably simple to use. 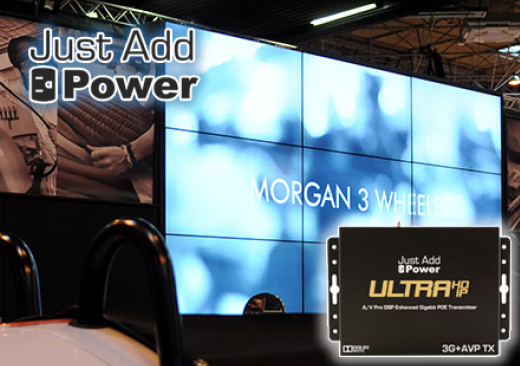 The receiver is expandable, and allows a single image to be projected across multiple displays. External control from controllers of all types is supported. These days, we often hear from companies that they are not getting enough out of their conference rooms. Although many companies actually have a sufficient number of conference rooms available, it is often the case that they are unable to effectively manage or efficiently use their conference rooms, with issues including conference rooms being reserved but not used. 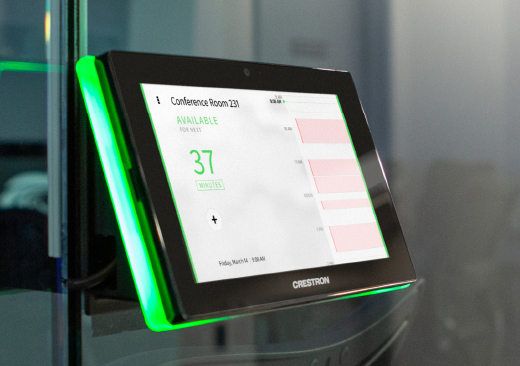 Crestron Fusion can be integrated with services such as Outlook and Google Calendar for easy scheduling management. 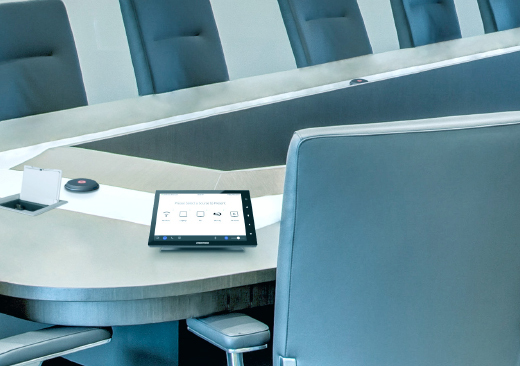 Additionally, by installing a sensor in the conference room and connecting it to the system, the system can be expanded for operations such as automatic cancellations when unmonitored. Crestron's touchscreens transcend the capabilities of conventional touchscreen control systems. Today, they are in the process of unifying schools, businesses, hospitals, hotels, public facilities, and homes around the world. With sales, support, and training infrastructure on a global scale unlike that of any other company, Crestron offers flexible solutions as well as guaranteed, professional support that encompasses everything from sales, to design, to installation, in order to meet the ever-changing needs of end users. 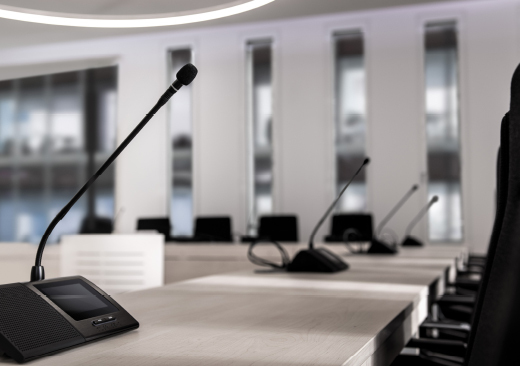 We provide video and audio system solutions tailored to a variety of applications and locations, including conference rooms and lecture halls. 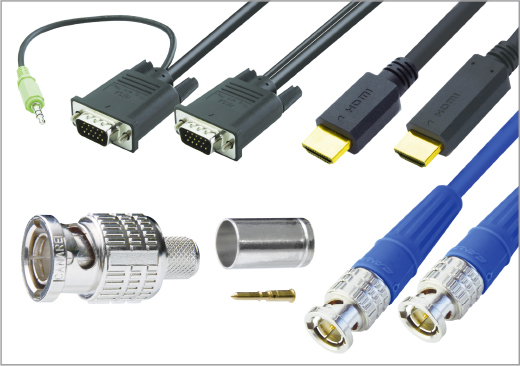 The range of video and audio equipment for enterprise that we carry includes RGB interfaces, switchers, cable compensators and splitters, signal processors, scan converters, and scalers. In addition to controlling A/V devices, NetLinx control systems from AMX enable seamless, integrated management of all IT systems. 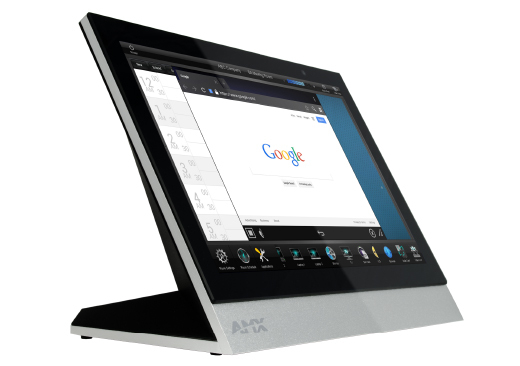 AMX's touchscreen-based controllers are flexible and remarkably user-friendly. They are used in a variety of settings, including corporate conference rooms, school audio-visual rooms, amusement park facility management, home automation for standard residences, security systems, hotel environmental equipment, and medical facilities. 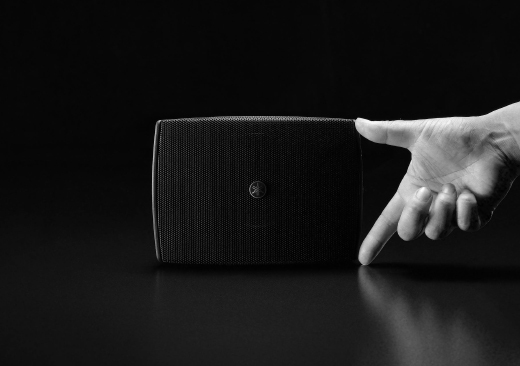 Bose offers sound systems that, throughout every step of the process—from the development of products tailored to public and commercial spaces, to the case-by-case design, installation, and tuning of audio equipment—are optimized for all conceivable room characteristics and purposes. 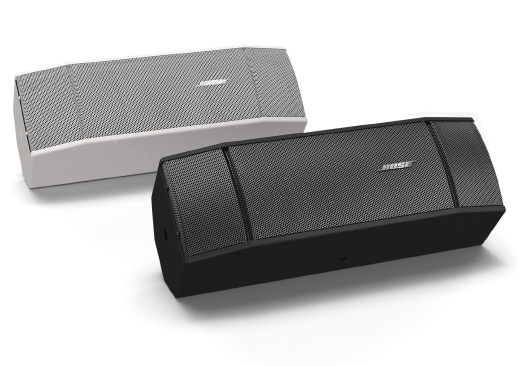 As an authorized dealer for Bose Japan, AstroServe offers product selection, sales, and installation services for Bose products. From mixing consoles, power amps, and monitor speakers, to speakerphones for unified communication, we carry a wide range of products. Shure is a global leader in microphones for concerts, touring, and in the studio. We carry a range of Shure products with superior sound quality and reliability that will satisfy performers of all levels, from beginners to professionals. 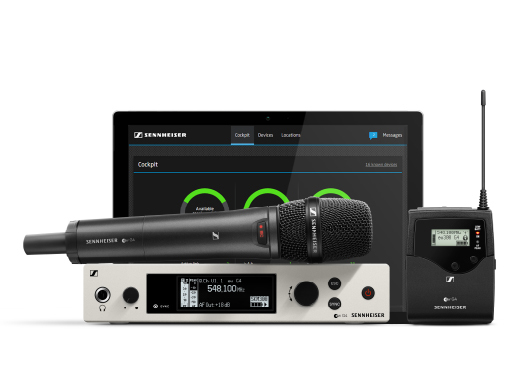 Founded in Germany, Sennheiser has created headphones and microphones that are used by countless professionals, bringing their "Perfect Sound" to music and film production facilities, and beyond. AstroServe is an exclusive dealer for Canare Electric Co., Ltd. We carry a massive selection of Canare products, including an AstroServe exclusive three-pack of coaxial cable tools.